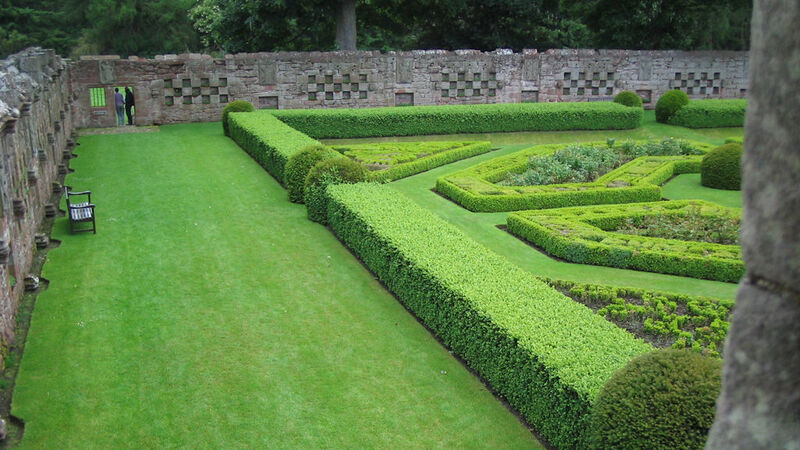 Explore gardens on the eastern coast of Scotland around Dundee and at historic castles such as Edzell and Glamis. House of Pitmuies, Guthrie, Forfar, Angus. Two walled gardens adjoining an 18th century house, sheltering long mixed flower borders, superb delphiniums and old fashioned roses. Spacious lawns, woodland, river and lochside walks. Open April - October daily 10am - 5pm. Admission charge. University of Dundee Botanic Gardens, Dundee. 21 acres of trees, shrubs and plants collected world-wide. Tropical temperate plant houses with fruits, flowers and giant Victoria water lily. Coffee shop, plant and gift sales. Disabled facilities. Open March - October (daily 10am - 4.30pm); November - February (daily 10am - 3.30pm). Admission charge. 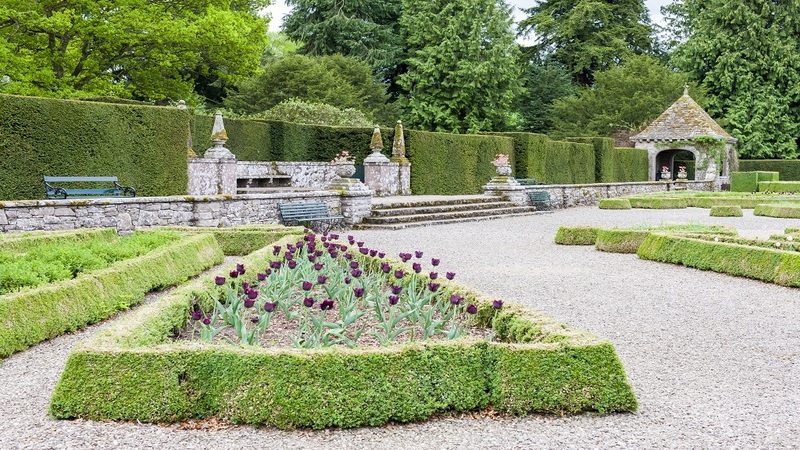 Glamis Castle Gardens, near Forfar. A mile of daffodils in Springtime. Superb displays of rhododendrons and azaleas in summer. Colourful autumn trees. Nature Trail and Pinetum providing a haven for wildlife. Open daily from April - October and weekends in November - December. Admission charge. Dundee's largest public park consists of 395 acres of beautiful parkland containing many rare trees, 18 hole golf course, horse riding, tennis and award-winning adventure playground. Open all year and free. Parkland in Dundee surrounding 24 acres of water. Facilities include visitors centre, play area, picnic areas, woodland walks. During the summer months a variety of water sports are available. Park & woodland open at all times. Delightful rock garden in Dundee containing plants and flowers from all over the world. Water feature including a tadpole friendly pond. Woodland walk and fine trees. Open all year and free.